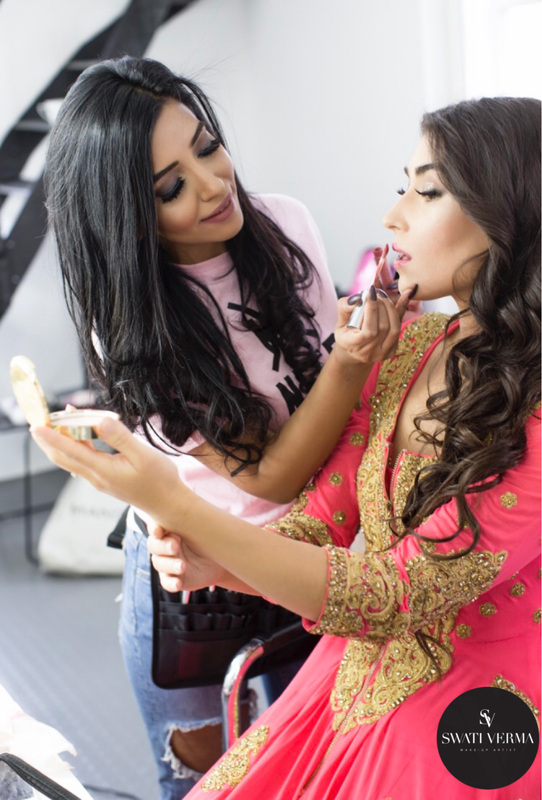 Swati is one of the most sought after PRO make-up artists and is available for fashion, editorial and bridal bookings worldwide. Swati can create the ultimate glamorous look or give you a sophisticated natural finish – whatever your style Swati will turn you into the most beautiful version of yourself. Are you ready to make a booking? Fill in the form below, and our professionals will be in touch with you shortly. 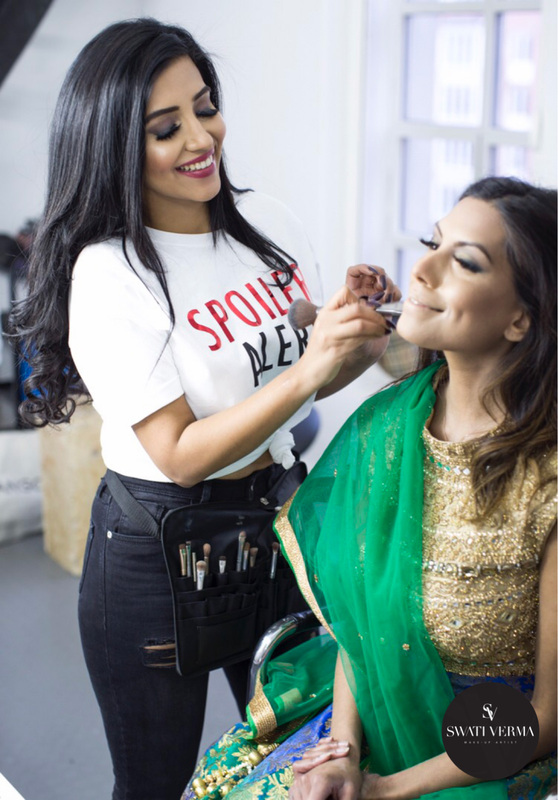 Swati loves working with brides and feels it’s such an honour to create the ultimate glamorous look for each and every bride on her wedding day. 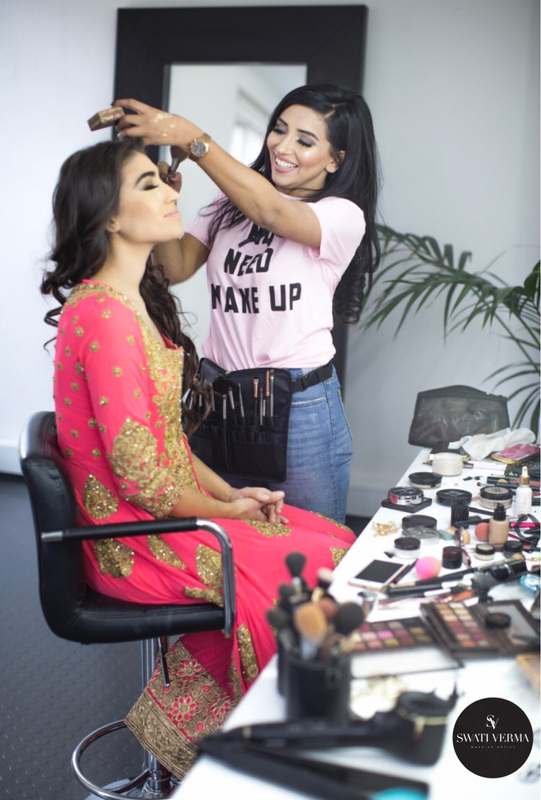 Swati only uses the highest quality products that are specially designed to last all day, which means your make-up will be flawless from start to finish and most importantly it will photograph beautifully. After 1 hour with Swati you will emerge looking like a beauty queen. Any other requirements or requests please send your inquiry in the form on the side. What’s included in your bridal package? All bridal packages include hairstyling, make-up HD/airbrush, draping, eyelashes and nail paint application. Where is Swati Verma’s Make-up studio located? · 50% to be paid once the booking is confirmed. The remaining amount to be paid before the wedding day (a week before the makeup date). · Advances will be forfeited in case of any change in date/time or cancellations.